How do Dish for Dosha programs work? Avoid meat and booze for at least 2 days before and after your raw juice cleanse. Usually by the end of a juice cleanse , the body feels lighter, rested, calm, healthy, and grateful. The sugar and fat cravings have usually diminished greatly, so we recommend that you just ride that wave as long as possible. Once you re-incorporate red meats, dairy products, sugars, and booze to the body, like a puppy in training, the body will restart craving those foods again. The longer you can put those types of food off, the better and easier the maintenance process will be for you. On your first day off your raw juice cleansing program, start incorporating cooked foods slowly, like a hearty vegetable soup, or Quinoa, or Oatmeal. HOW MANY DAYS AND/ OR BOTTLES SHOULD TAKE A DAY? this solely depends on your goals (weight loss, recovering from medical condition, energy , immune system booster, general mild cleansing, heavy deep cleansing etc) and your specific body type, Dosha. Vata body type shouldn’t do more than a week, usually. 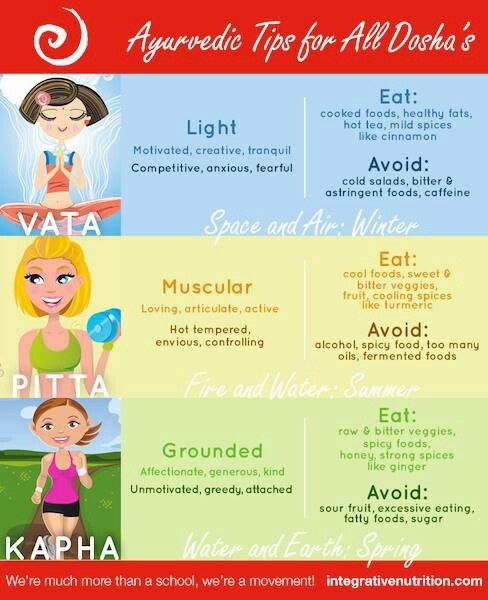 all the raw food after a while can aggravate Vata dosha. Pitta body type can handle about 3-5 days , no problem. any longer, even though the body can take it and loves it, the mind might begin to get a little restless and impatient; so we usually don’t recommend that a fiery Pitta go with out food too long. WHY DO I HAVE TO LIMIT MY FIBER INTAKE, OR NOT EAT AT ALL? the point of a fast, is to eliminate what is in the intestinal tract, and let it have a break from having to constantly digest something. a juice cleanse, also eliminates the bulk fiber from the intestinal tract, but it takes advantage of the free space in the intestines. you see, the intestines are like sponges, drawing out all the nutrients in food that the body can use. but more often than not, we find ourselves clogged up to the max. when that happens, there is hardly any room around the “sponge” walls to absorb nutrients. therefor, we eliminate most fiber to clear the walls of the tract, so that you can begin to reabsorb vital nutrients and minerals. think of it like clearing out a room, so that you can prime and put fresh paint on the walls. first clear out, then paint. once you put the furniture back in, the whole room will be vibrant with new life, and your furniture just wont be the same. it too, will perform better for you. now, the idea behind no food is not to make you miserable. If you really are about to impose harm on a fellow citizen because you need to chew something, by all means.. please chew something! we recommend staying with raw foods though, since your body will already be on that channel. we strongly recommend that you avoid liquor and beer at all costs during your cleanse. these “toxins” are super harmful when the body is trying to cleanse. it kind of considers a betrayal. you see, it takes a couple days for your body to start realizing what its doing, how its cleansing. by the third day, it knows exactly what its working on, so it begins to really cooperate. essentially, it begins to trust that there will be more “building blocks” heading its way, and it begins to release long stored toxins trapped in the muscular structure and tissues. If you drink in the middle its process, it will be very upset and resentful you “betrayed its trust”. juices will ship frozen. the shelf life of a frozen juice is 2 weeks. Dish for Dosha’s Ayurvedic Raw Juices shipping nationwide! Call Today and receive a 3 day cleanse in a couple days ,of an assortment of juice blends, designed uniquely for your Dosha body type! In a nutshell, each juice is $5 bucks a pop. Depending on your goals and your specific body type (Dosha), we will recommend how many days and how many bottles a day you should consume. Full body & liver detox : A deep cleaning program that is recommended for every one at least 4 times a year for general “spring cleaning” duties, and overall health. this cleansing program usually limits fiber to the max. the point of the cleanse is to empty out the intestinal tract, while we soak it with fiber-less pure nutrients, anti oxidants, live enzymes, and minerals. but don’t worry, you wont be hungry; you will consume anywhere between 10 and 20 lbs of food daily : ). Weight-loss : A perfect way to start a weight loss routine. These particular blends are designed to reduce bloating and inflammation in the tissues, and draw toxins mildly from the muscular structure. We’ve seen some clients loose anywhere from 3 lbs to 15 lbs on our program. A clear vision and determination, and how many days they do the cleanse for, is usually a direct reflection of their success. metabolic reset : This program is for those of us that cant stop snacking Little Debbie’s at midnight. We crave sugars and fats to the fullest, and find ourselves rejecting the healthy apple & broccoli snacks more often than not. this program will remind your body what it feels like “sober” and unclogged. naturally your cravings should subside, and your body will begin cooperating with you to reach for the apple, as opposed to the Nutty Bars. once it remembers how it really likes to function, it will naturally stop asking you for junk food. It will begin to crave and ask for real whole foods with high nutritional density. Basically, its a classic “grounding and redemption” kind of story. Its a body reset for the pesky little cravings that keep those extra 10 pounds consistently on top of us. So give your body a well deserved break, and help set it up for success. Call us at 520-309-9055 to personally talk to your Ayurvedic Chef today, and begin with your first free phone consultation! are only a quick phone call away. (520) 309-9055 -- Feel free to pick up the phone and ask some questions. We are in Tucson, AZ and serving the Southern Arizona Community on a personal basis. Ayurvedic Soups on sale for the first half of January! 2016 – Happy New Year! Dish for Dosha is now on Yelp! Renee’s-Organic-Oven and Dish-for-Dosha Pair up! Juice-Cleanse-Lady goes on break this week! Post-Holidays Raw Juice cleanse program is Starting JANUARY 02, 2015! Is a Raw Juice Cleanse the right thing for me now? PLATICA DE AYURVEDA EN ESPANOL! We are making BIG JUICE JUGS today! WELCOME DOSHA POPS! Healthy Ice Pops now made with raw Ayurvedic fruit & vegetable juices! Party Recouperating packages available now! We are upgrading our communication systems! Get together and Play for kid’s health!